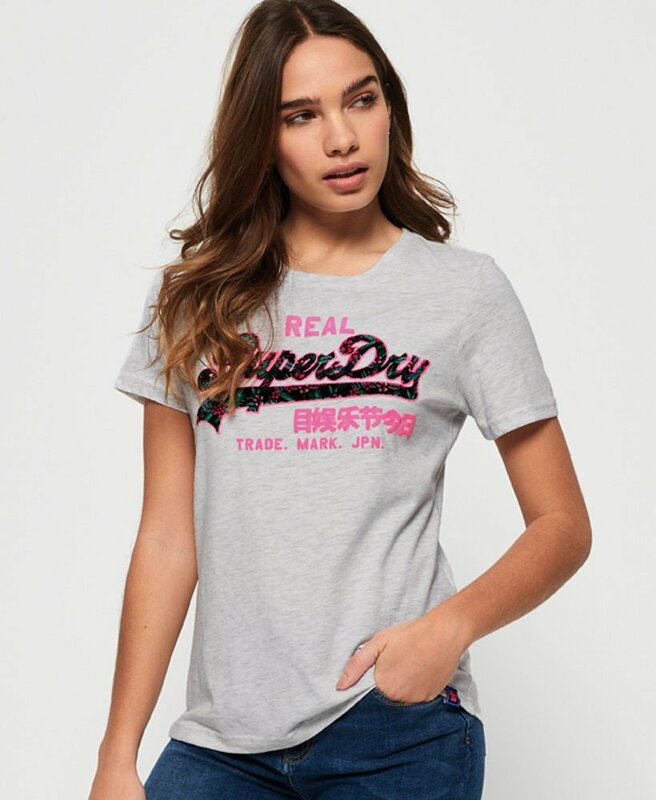 Superdry women’s Vintage logo tropical infill t-shirt. Add a pop of colour back into your tee collection this season with the tropical infill tee. A great tee to pair with just about anything, tuck it into jeans, a skirt or even some cargo pants depending on the vibe you want to create. This tee features the iconic Superdry logo across the chest in a textured print, a crew neckline, short sleeves and a Superdry tab on the hem to finish.